This place was an instant smash after opening in summer 2017! 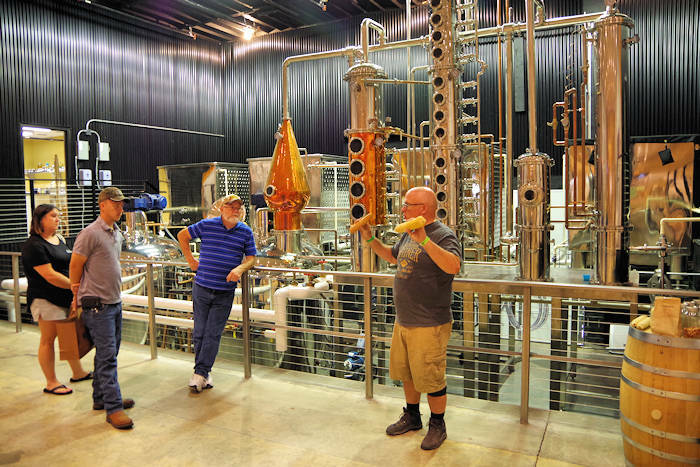 Visit Elevated Mountain Distilling Company for a tour of their corn-to-whiskey process and sample some of their creations. 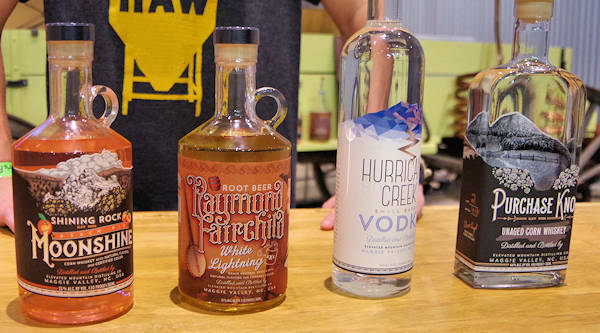 Located in Maggie Valley, this craft distiller produces small batches. 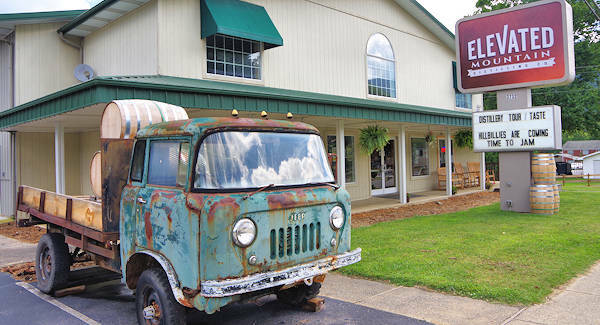 Bootleg moonshine has been made in this Great Smoky Mountains area for many decades due to the pristine mountain water. Finally, see a legit still and buy some legal local spirits. Founders Dave and Sue Angel are both third generation whisky makers. They definitely took the process to the next level with a custom pot and column still that is a beauty to behold, towering 23 feet (photo above). They are open Monday-Saturday, 10 AM-7 PM. Stop in any time to browse their store and take a free tour. Morning and early afternoon tours are the best times to see the brewers in action. Learn about the fascinating farm-to-bottle process - including their partnerships with local farmers. Your tour ends with a tasting! 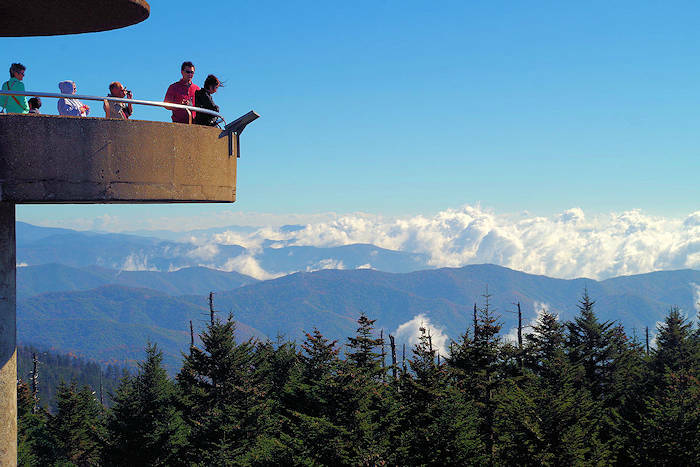 Their name, Elevated Mountain, is a nod to Haywood County since it has the highest median elevation (3,600 feet) of any county in the eastern USA. In fact, it's one of the few counties in the entire country where all their water originates within its borders - via pristine mountain springs that originate above 6,000 feet. So that's why moonshiners for many generations have created the best whiskey! 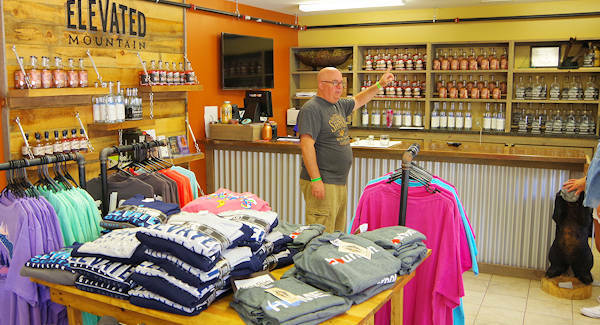 Location: Elevated Mountain Distilling Company is located in the middle of Maggie Valley, a longtime favorite mountain vacation town that has kept much of its original charm. It's about 35 miles west of Asheville. 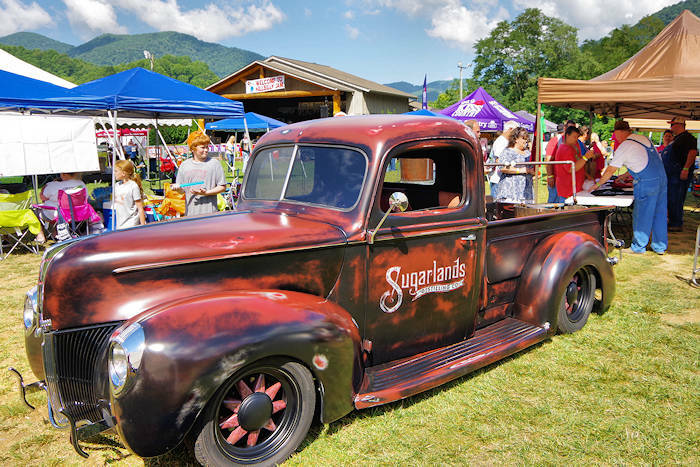 Street Address: 3732 Soco Road, Maggie Valley, NC 28751. Open Monday-Saturday, 10 AM-7 PM. Nearby: Just a mile away is Wheels Through Time's impressive collection. 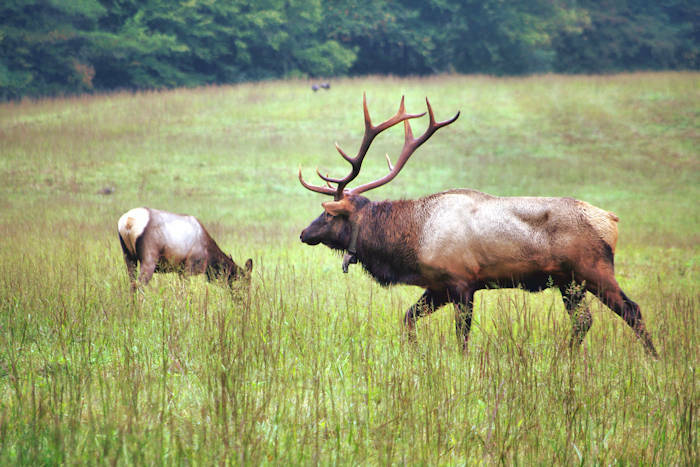 Read about more things to do in Maggie Valley. Downtown Waynesville is 9 miles, Cherokee is 16 miles.